The whacked out former star of failed, dumb reality show “I’m with Busey” repeats the age-old anti-Semitic blood libel, that Jews steal others’ organs, blood, etc. for some ill purpose–in this case, by playing an evil Jewish doctor. 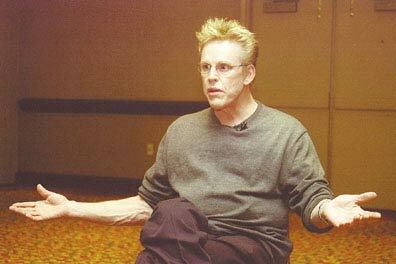 We have a suggestion for all Jewish-American doctors: Since Gary Busey defamed you, refuse him as a patient. In a new Turkish movie, “Kurtlar Vadisi – Irak” (“Valley of the Wolves–Iraq”) U.S. soldiers are portrayed as brutal murderers who “kill dozens of innocent people with random machine gun fire, shoot the groom in the head, and drag those left alive to Abu Ghraib prison – where a Jewish doctor cuts out their organs, which he sells to rich people in New York, London and Tel Aviv,” according to AP. Gary Busey plays the Jewish-American doctor. We’d say, boycott Busey. But he’s not been in much to speak of that anyone has watched (not even anti-White man, “Into the West“). So he whored himself out to anti-Semitism in order to make a buck. raids [an] Arabian wedding where everyone from the region comes together. He kills tens of people. All are civilians. Leila, the bride of the wedding, loses her future groom in the killings. Apart from the people who were murdered there, also a lot of people are declared terrorists and arrested. As noted by reader Tim, we recall only one Muslim Arab wedding deliberately attacked in recent memory, the one in Amman, Jordan. But the attackers were NOT American soldiers. They were fellow Muslim Arabs from Al-Qaeda. Hmmmm . . . where’s the Billy Zane movie about that, Hollywood? You guys realize he has really really bad brain damage right? He’s pretty much disabled. You can’t really judge him based on anything he’s been doing since he poked holes in his brain with drugs/ a really bad accident he got into.